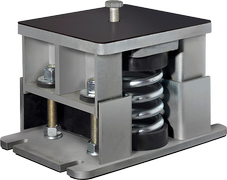 Sandwich and Channel Antivibration mounts. 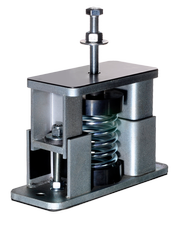 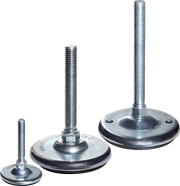 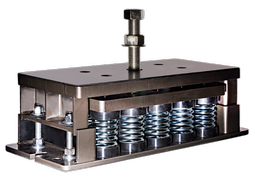 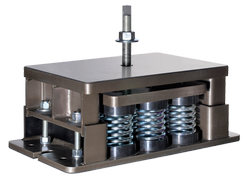 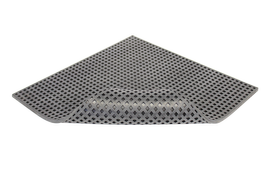 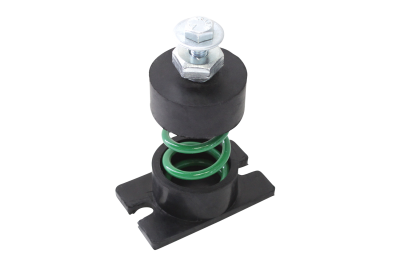 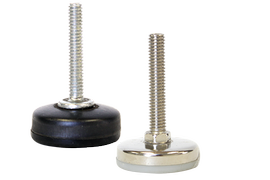 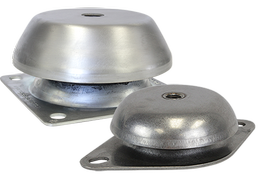 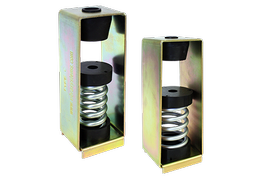 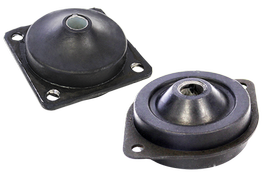 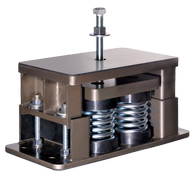 FSM/SM are versatile, anti-vibration channel mounts/dampers that allow the top and bottom plates to be drilled anywhere along their length. 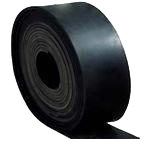 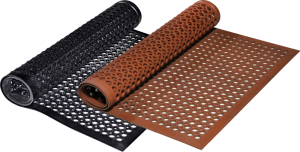 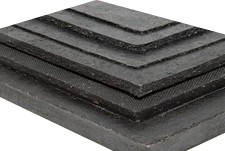 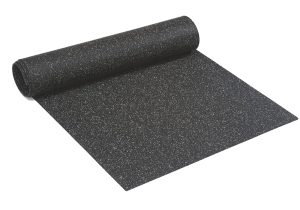 The plates are bonded together with oil-resistant neoprene elastomer. 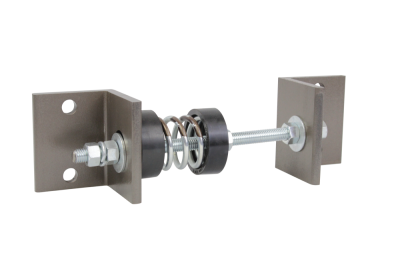 Wall and ceiling installations where a channel can be used as a mounting rail. 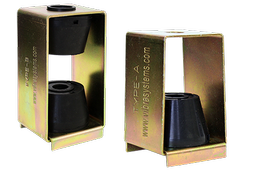 Small-cut blocks can be used as individual isolators. 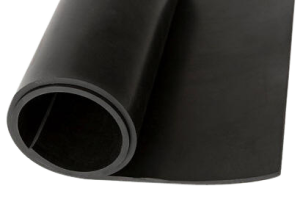 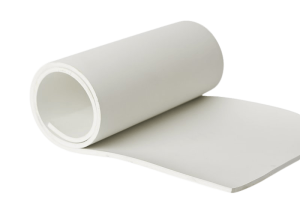 Other elastomer materials/compounds available on request. 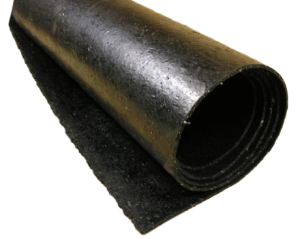 Upon request can be cut to any length required. 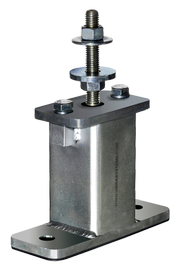 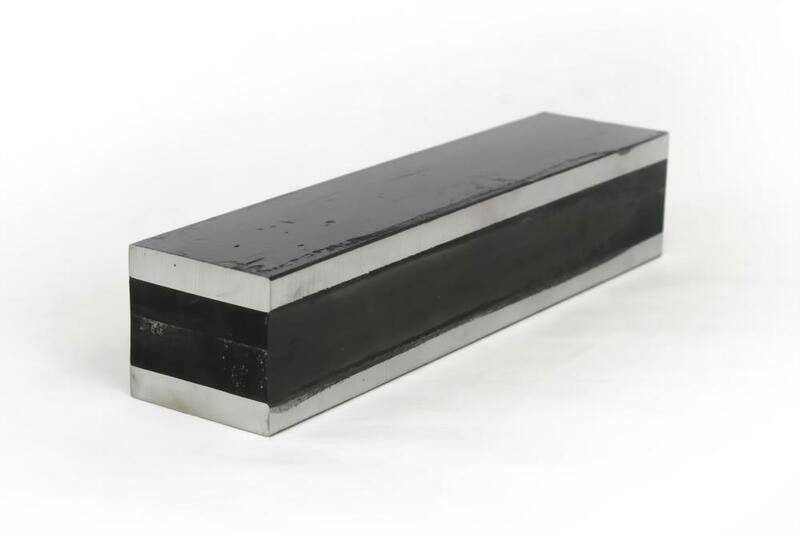 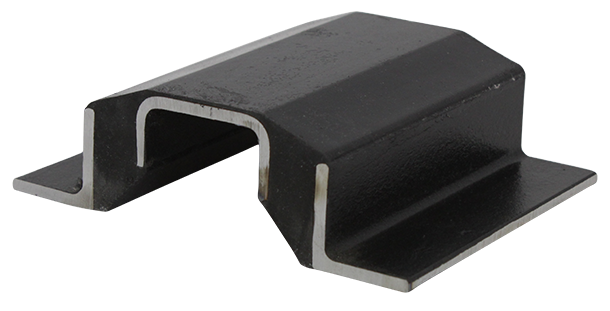 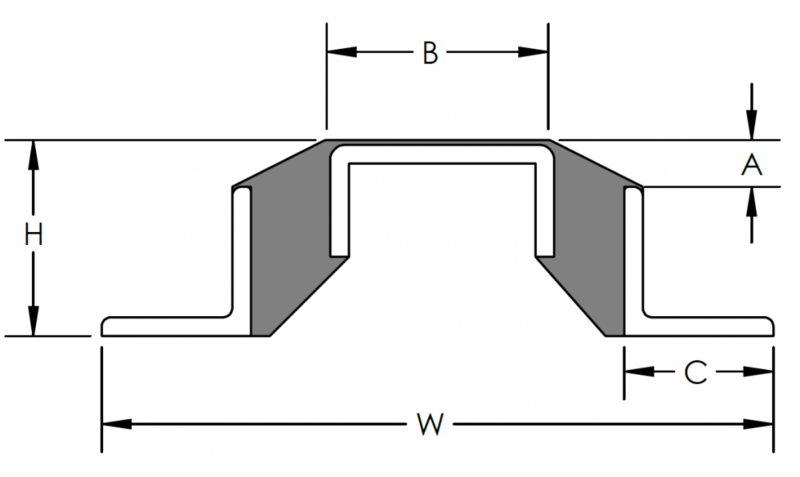 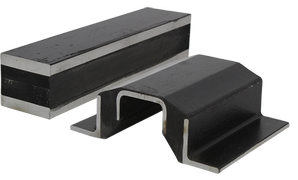 Superior ability to withstand shear load with low horizontal deflection. 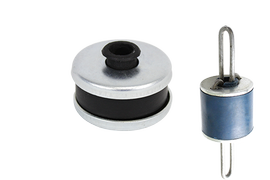 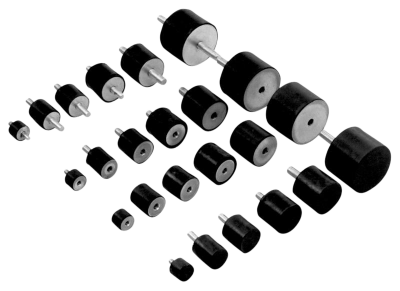 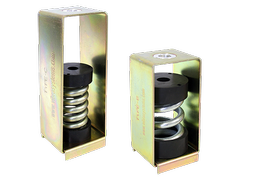 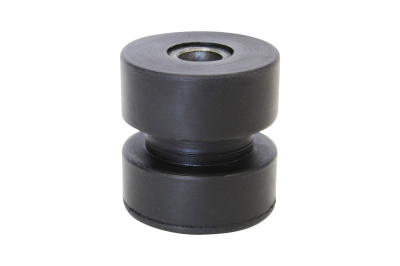 Effectively isolates against horizontal, vertical, and shock forces.